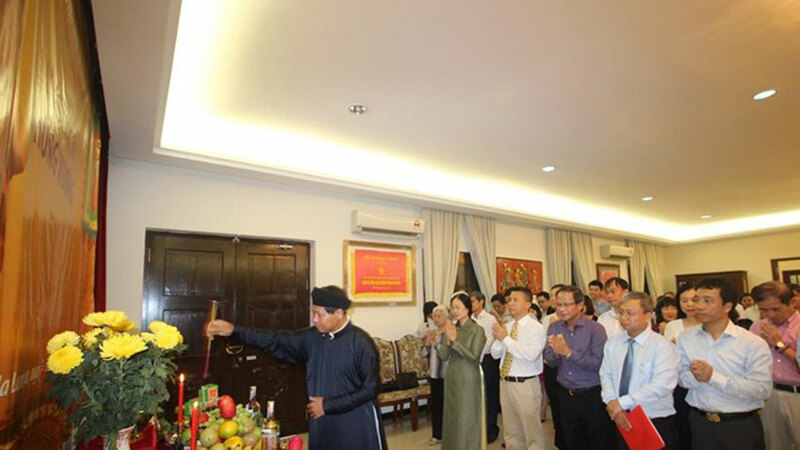 Vietnamese expatriates in Malaysia get together to commemorate the death anniversary of the Hung Kings. On the occasion, the Vietnamese community enjoyed stellar art performances and traditional dishes. (BGO) – Hiep Hoa land in the northern province of Bac Giang is well known for many rustic dishes such as tram den (black canari fruit), goi ca me (barb salad)…And Van Chung cake has recently been a local specialty. (BGO) – On January 16, Phung Xuan Nha, Member of the Central Party Committee, Minister of the Education and Training (MoET) visited, extended Tet Greetings and presented gifts to the teachers and officers working in the educational sector in the northern province of Bac Giang on the occasion of upcoming Lunar New Year. National Assembly Chairwoman Nguyen Thi Kim Ngan on January 6 visited Xuan Quan and Me So communes, which were recently recognized as a new-style rural commune in Van Giang district, Hung Yen province.